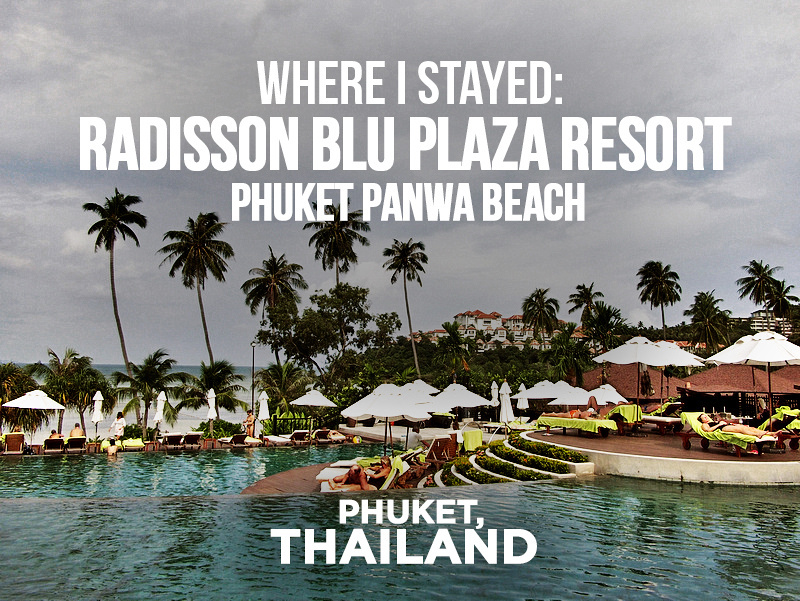 I stayed at the Radisson Blu Plaza Resort Phuket Panwa Beach as a guest of Club Carlson, who I was working with on their Global Travelers campaign. 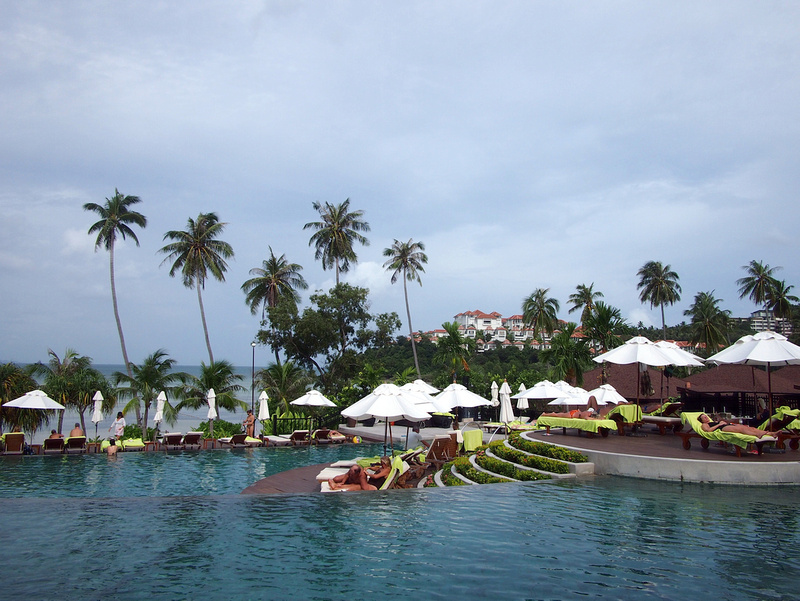 I’ve been to Phuket a few times but had never been to Panwa Beach before. 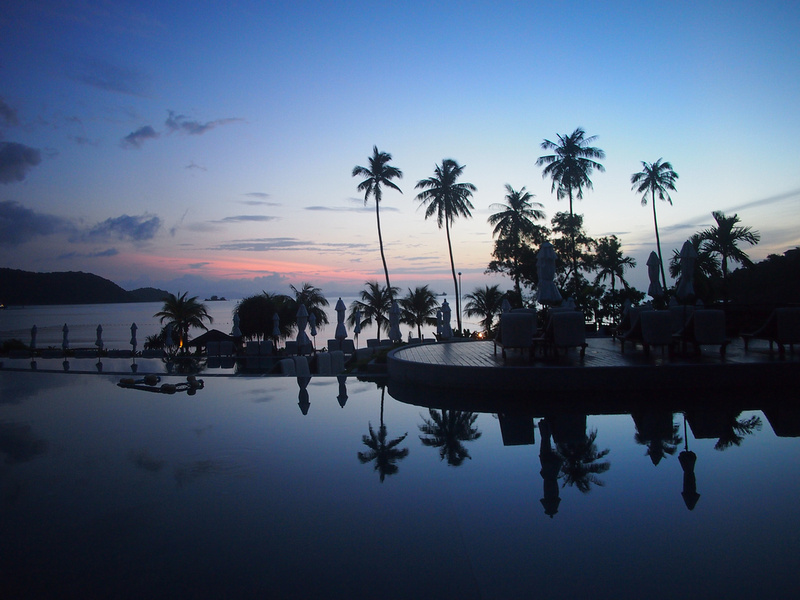 Phuket is the biggest island in Thailand yet people often associate Phuket only with Patong Beach, which is where the biggest cluster of hotels are. Panwa Beach is for the those looking for a secluded beach retreat. 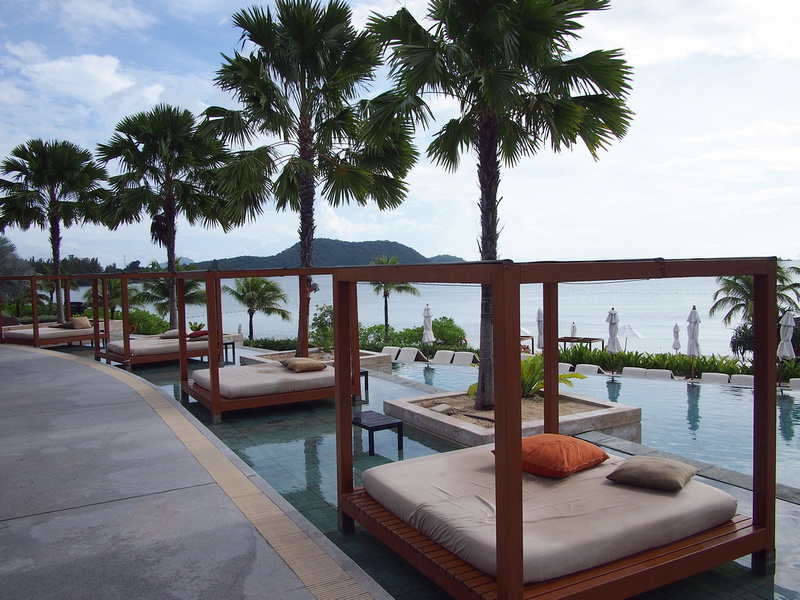 The Radisson Blu Plaza Resort Phuket Panwa Beach (yes, that’s its full name) is a luxury 5 star beach resort. 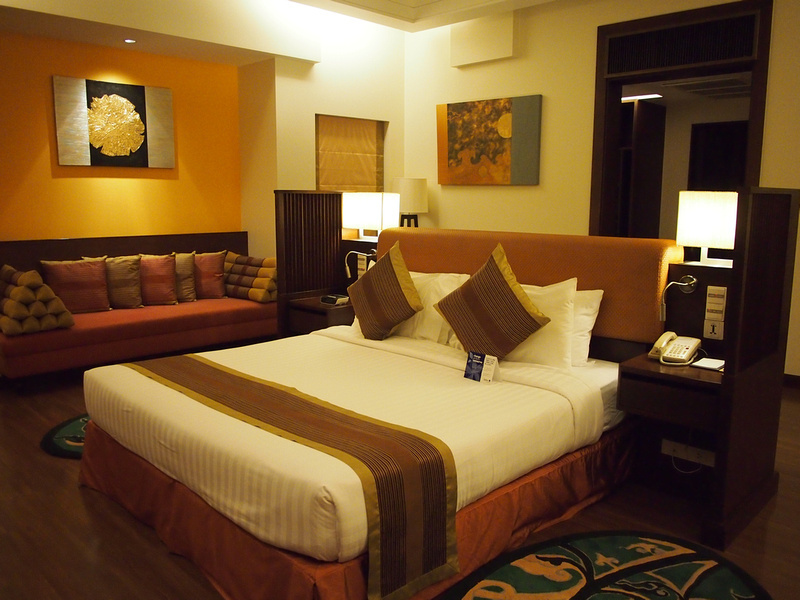 In addition to luxury hotel rooms they also have private villas on the property. I stayed in one of the Pool Villas – Business Class rooms. This comprised of a villa that is separate from the main hotel building. I was delivered with my bags by the property golf cart. This was my luxury bedroom. 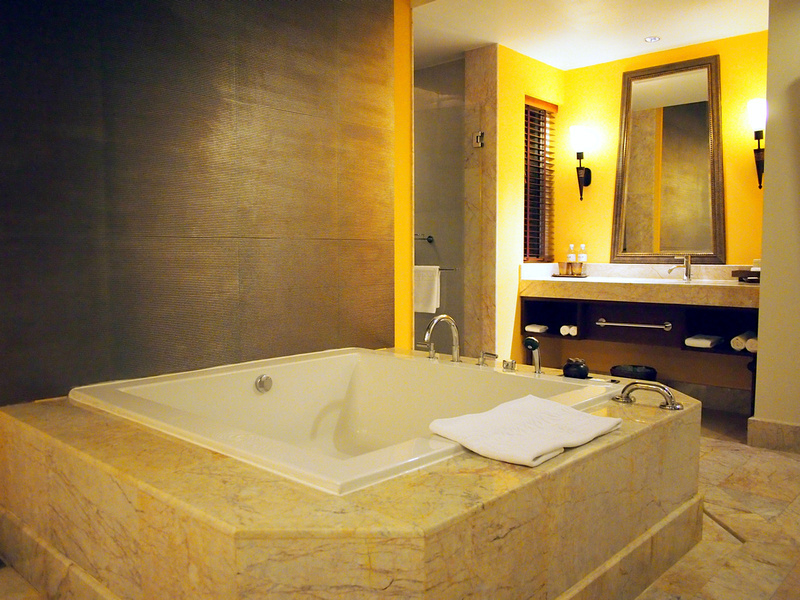 Luxury bathroom with giant bath. 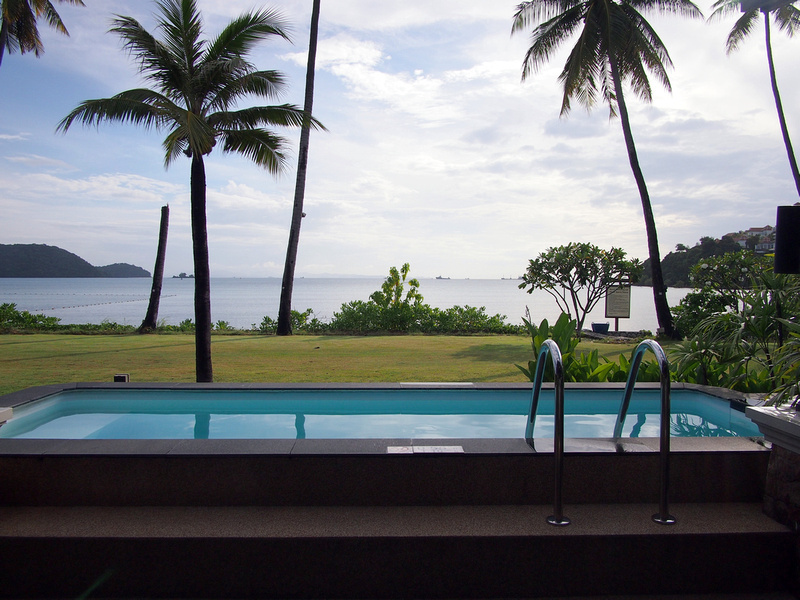 The villa comes with it’s own private swimming pool with a view to the sea. Over at the main hotel building is the big swimming pool, featuring palm trees, multiple levels, and deck chairs everywhere. I also enjoyed these poolside lounge beds. Oh yeah, when you are by the pool don’t forget that there is a beach here too. The beach is on a secluded bay, shared with a little fishing village at the other end. 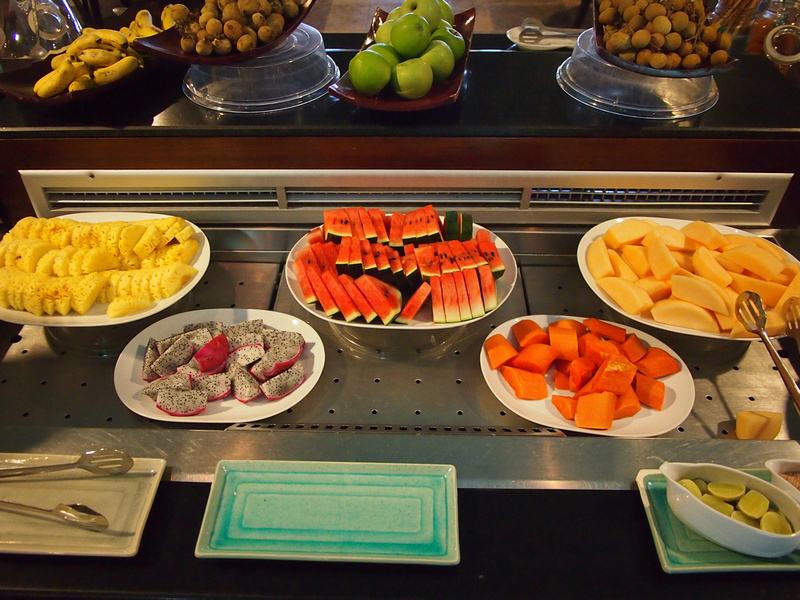 Breakfast consisted of a buffet including all these fruity tropical delights. Some activities if you don’t feel like venturing out. The hotel is located in the little village of Panwa, and there are some shops on the other side of the road (a convenience store, a cheap Thai restaurant, and a couple of massage parlours – of course!) I’m guessing most people come here to relax but if you want to go sight seeing I would make the most of the free shuttle to Phuket Town, which is about 15 minutes away. Make sure you are back for sunset. 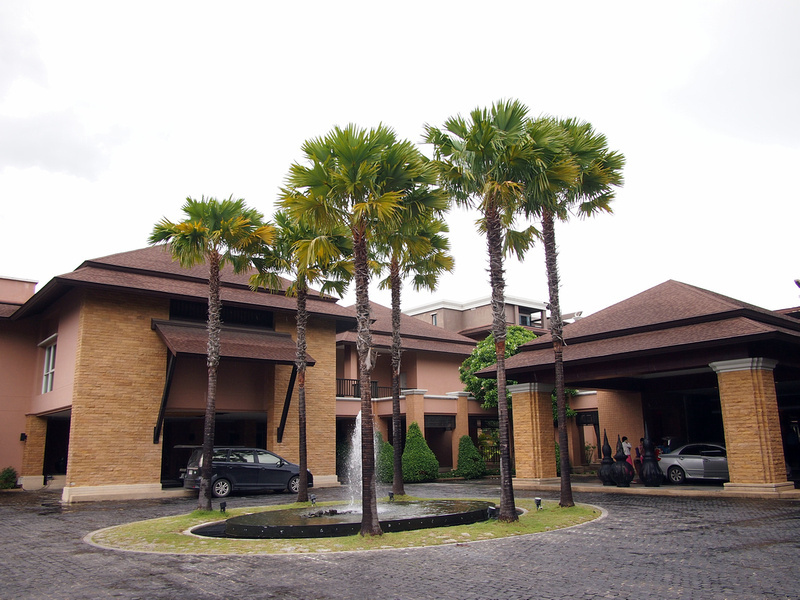 Search for the best rates online for the Radisson Blu Plaza Resort Phuket Panwa Beach, or search for more hotels in Phuket.